James Murunga, RN, Norman Regional Health System’s 2018 Healer of the Year. James Murunga, RN, was chosen as Norman Regional Health System’s 2018 Healer of the Year. Murunga was Healer of the Month in May 2018, and was one of 12 employees in the running for Healer of the Year. Murunga said that as Healer of the Year, he wants to be a resource to other healers within Norman Regional Health System. “I’m going to definitely enjoy this, but I also know that I have to give back. I don’t know how, but maybe just by helping other people. There’s no way I can possibly thank these people enough, but I’ll be a resource to them every day and help them with whatever they need,” Murunga said. 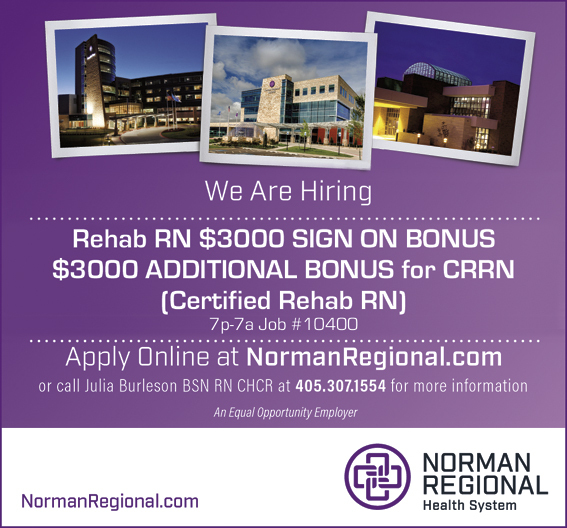 Murunga has been working for Norman Regional since December 2014. He works on a Medical-Surgical unit (4N) and has had the opportunity to work on other units, including 2 NE, 3NW, Ortho-Spine, and Rehab. In his position, Murunga completes key registered nurse functions, physician orders and other duties as assigned by the nurse manager and charge nurse. Those duties includes teaming up with other departments in the assessment and implementation of patient care, as well as evaluating outcomes against set department and hospital-wide goals. Whenever he is called upon to serve as the charge nurse, his additional responsibilities include working in conjunction with the nurse manager and the staffing office to complete staff assignment, delegate tasks and provide leadership for a safe and more-efficient unit. Murunga said his favorite part of working at NRHS are the people. “I work with a great team,” he said. Murunga was born in Kenya, East Africa; but has lived in this area for 12 years. He received his Associate Degree in nursing from Oklahoma City Community College, and is currently completing his BSN in nursing at Southwestern Oklahoma State University in Weatherford. “I once took a train from Oklahoma to Fort Worth just to eat barbecue ribs at the stock yards, then took the next train back,” he said. Murunga’s favorite pastime is theater. He enjoys watching plays on a stage.